Alcohol increases the risk of cancer. 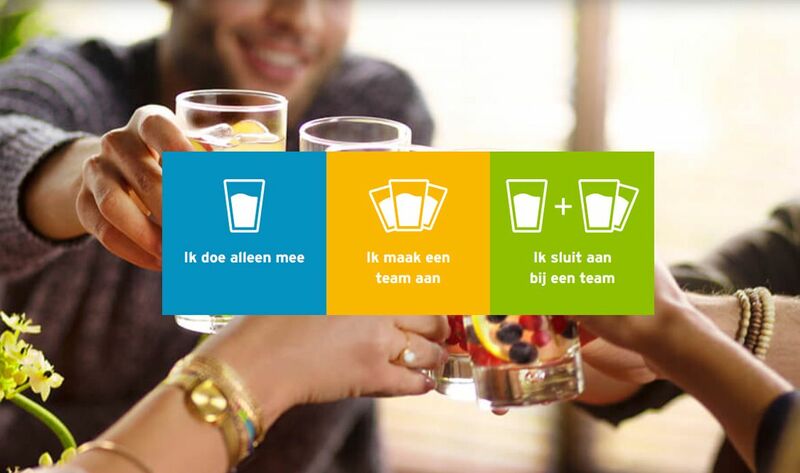 That’s why the Belgian Foundation against Cancer organises Tournée Minérale: Each February more than 100.000 Belgians take the pledge to not drink a drop of alcohol for a month and experience the effect on their health. 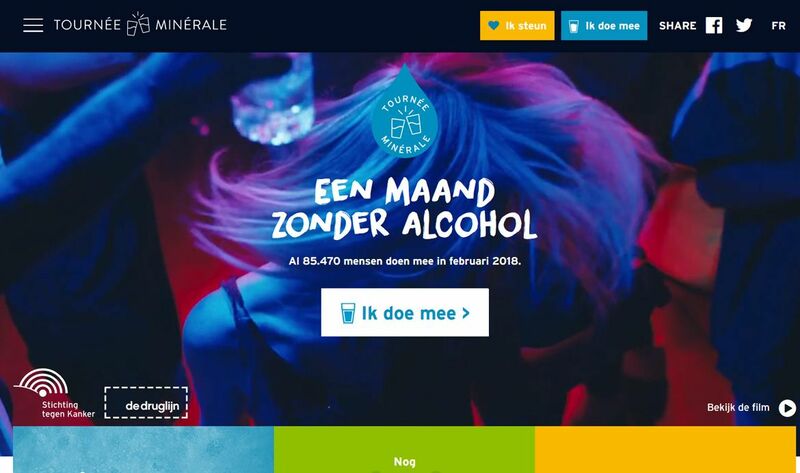 On www.tourneeminerale.be everyone can subscribe to participate, but there’s more. 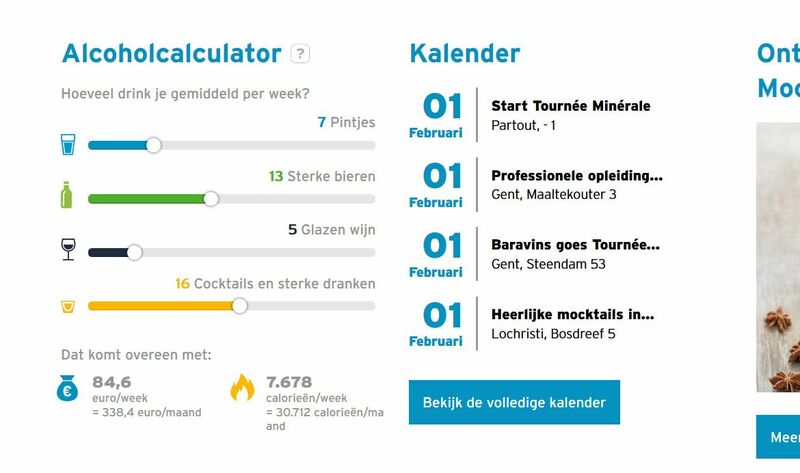 An alcohol calculator allows you to see how many calories and money you save after 1 month of not drinking. There are mocktail recipes to inspire you, a clear explanation of the health benefits, a news feed and a simple module to donate money to cancer research. New in 2018 was ‘Challenge a Friend’: on Facebook and through email, people could challenge each other to participate in Tournée Minérale. Was your friend in need of some extra motivation? Then you could raise the stakes by linking the challenge to a charitable donation. Only if your friend succeeded the money was donated to the foundation. During a live underwater radio show the total amount raised of €136.025 was announced. Well done, Belgium!